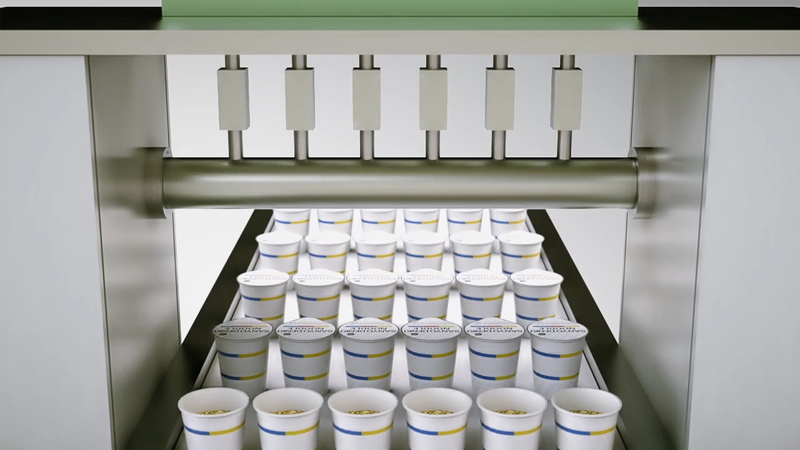 Device for automatically packaging products. For rotating the lid supply mechanism. For raising and lowering the lid applicator nozzle.